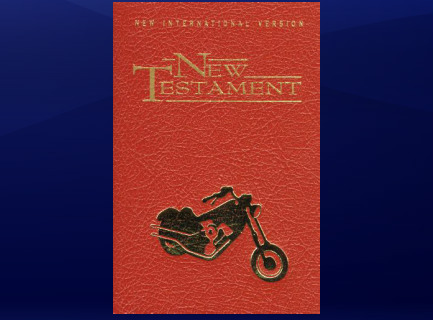 Our biker ministry has given out Bibles on the streets all over the country, and we would like to give one to you. Due to mailing restrictions for Bibles sent overseas, we can only ship in the United States. For further inquiries about receiving Bibles, please call Harper Collins Christian Publishing at 1-800-727-3480. Click below to get started!